The year 2018 started off with a great success—pressure from the longevity community as a whole induced WHO to introduce provisions about the health problems of the elderly into the draft of its Programme of Work 2019-2023. Population aging and the increasing burden of age-related diseases had been left out of the draft entirely, but thanks to the feedback that LEAF, other relevant organizations, and advocates all around the globe gave through the open consultation form available on the WHO website, WHO reconsidered the draft and amended it. One of the biggest successes of this initiative is the introduction into the Programme of healthy life expectancy (HALE, an assessment of the period of time that a person can live in full health) as a metric to evaluate how well the global community has improved health outcomes. This is a powerful reminder that we do have the power to influence policymakers at the highest level, so we should take advantage of it to enact good changes in our world. Up until recent times, organizations working on rejuvenation research weren’t exactly swimming in money. The bad news is that they still aren’t; the good news, though, is that that has begun to change, and a crystal clear sign of it was the total of over 5 million dollars in donations that SENS Research Foundation—the flagship of the rejuvenation research fleet—received between the end of 2017 and January 2018. These donations were from the anonymous creator of the Pineapple Fund, a second anonymous donor, and Vitalik Buterin along with SRF’s annual winter fundraiser and the prize that SRF won during Project4Awesome 2017. Most of these donations came from the world of cryptocurrency, one that seems to be very close to the idea of healthy longevity. The beginning of 2018 saw a video by LEAF President Keith Comito recapping our achievements of 2017—which you can watch here, if you’d like to get an even more comprehensive picture of our progress over the years. We interviewed Drs. Michael and Irina Conboy about parabiosis and potential of filtering aged blood to rejuvenate tissues and organs, one of their topics of expertise. There has been a considerable amount of interest in searching for rejuvenation factors in young blood and also in the potential of filtering pro-aging factors from old blood so this interview proved popular. We also interviewed scientist and Apollo Ventures founder Dr. James Peyer and Dr. Vadim Zorin from the Human Stem Cells Institute. At the end of the month, Elena Milova spoke about the advances of aging research as part of an educational program at the retreat of the Moscow chapter of YPO, the premier leadership organization of chief executives in the world. February was a relatively quiet month, though it did see even more money being poured over SENS Research Foundation, as both the Pineapple Fund and Vitalik Buterin donated $1,000,000 and $2,400,000 respectively, on top of the donation they’d already made in 2017. On February 1st, we hosted a premiere screening of the Netflix series Altered Carbon—an occasion for sci-fi fans to mingle together and get to know LEAF and its mission as well as Dr. Aubrey de Grey, who also attended the event. On February 11, Elena Milova took part in futurist David Wood’s livestream about aging research, while on Jeanne Calment’s day, February 21st, LEAF hosted a livestreamed panel of its own about supercentenarians and why they are interesting for longevity research, which you can watch here. During February, Elena was also interviewed by local Russian media; you can learn more about it here and here, but only if you speak Russian or are happy to use Google Translate. In mid-February, LEAF submitted comments to the FDA, jointly with the Niskanen Center, to make sure that the FDA’s new policy framework on regenerative medicine products would take into account the stance of the life extension community. The great highlight of March 2018, and possibly the entire year in terms of events in the field, was the highly awaited Undoing Aging conference, which was co-organized by the SENS Research Foundation and the Forever Healthy Foundation. Announced in late 2017, UA2018 was held in Berlin, Germany on March 15-17, and it featured some of the most prominent figures of the rejuvenation industry, including scientists and entrepreneurs alike. The event was so successful that, shortly after its conclusion, SRF announced that UA2019 would take place, again in Berlin, in March 2019—and we’re all looking forward to it! The cooperation between SRF and FHF didn’t stop at Undoing Aging, as in early March, they also announced the creation of the Forever Healthy Foundation Fellowship in Rejuvenation Biotechnology, which is meant to evaluate and possibly fund research proposals relevant to rejuvenation biotech by anyone in possession of a Ph.D. and an interesting, related idea. Many LEAF staff members and volunteers got to finally meet during UA2018; the event was attended by President Keith Comito and Vice President Oliver Medvedik; board members Steve Hill, Elena Milova, and Paul Spiegel; and volunteer Kali Carrigan. Steve Hill described his impression of the event in an article published a few days after its conclusion. Because of UA2018, we had a lot of interviews in March and the following months. The first one was with Forever Healthy Foundation’s founder Michael Greve, which was shortly followed by a three-part interview with SENS Research Foundation CSO Dr. Aubrey de Grey—you can find it here, here, and here—and, later in the month, an interview with Dr. Steve Horvath about epigenetic clocks, conducted in collaboration with Anna Dobryuhka, an expert journalist from Komsomolskaya Pravda. We also published a translation from Russian of Anna’s interview with Vitalik Buterin, in which the young cryptocurrency millionaire explained why he supports life extension and how important he thinks it is to donate to this cause. We also helped the Russian TV Channel STAR by providing it with a short interview with Aubrey de Grey, which was later made part of a program on longevity on this channel. March was also when Dr. Vera Gorbunova from Rochester University joined our Scientific Advisory Board. It’s a great honor that an expert of her caliber join us! With a title that tells it like it is, this conference was held in Kazan, Russia, on April 23-26. This conference, organized by Dr. Alexey Moskalev, brought together a number of experts in the field of aging and rejuvenation to talk about metabolomics, bioinformatics, biomarkers, advocacy, epigenetics, and more. This was the fifth installment in a series of conferences, and naturally, LEAF couldn’t sit it out; Elena Milova was there to give a talk about improving communication strategies when promoting healthy life extension, and she also brought us interviews that we’ll look into shortly. In April, UNITY Biotechnology filed for more funding to bring its candidate senolytic therapy into human trials; it’s probably no spoiler, at this point, to say that the trial did eventually start, as we’ll see in the June section of this roundup. CGP Grey, an extremely popular YouTuber, had already taken many people by surprise with his clear-cut condemnation of death in late 2017, which he published at the same time as our first video with Kurzgesagt; in April 2018, he made yet another video on the topic, more specifically a video adaptation of Prof. Nick Bostrom’s The Fable of the Dragon-Tyrant. It was great to see that such a famous influencer is on our side in the battle against aging, and while Grey hasn’t, as of yet, touched the topic again, we’re most definitely hoping to see more from him in this regard. April started off well for us, as Dr. Michael Rose, a renowned expert on the evolutionary biology of aging, joined our Scientific Advisory Board; it was also a very fruitful month in terms of interviews, starting with evolutionary biologist Dr. Josh Mitteldorf, followed by a few others taken together with journalist Anna Dobriukha during Undoing Aging: Dr. Jonathan Clark from the Babraham Institute, Dr. Brian Kennedy from Singapore University, and even our own president, Keith Comito. During the Kazan conference, Elena Milova had the chance to interview Dr. Andrei Gudkov from the Roswell Park Cancer Institute and Dr. David Gems from the Institute of Healthy Ageing. Elena herself was interviewed by the Open Longevity initiative; you can watch her interview here (in Russian). The provision that WHO added in January to its Programme of Work as a result of lobbying by the life extension community was confirmed about four months later, when the final resolutions about the Programme were approved and signed. When it comes to acceptance of life-extending technologies, it’s worth remembering big and small victories; in May, the Fourth International Vatican Conference hosted a panel on the moral implications of life extension, and it was a pleasant surprise that most of the religious exponents present were tepidly favorable to life extension, seeing no ethical impediment to it. Perhaps most importantly, this was a sign of the growing importance and relevance of this topic in public discourse. The Longevity Investor Network, LEAF’s own initiative to foster a florid rejuvenation biotech ecosystem, was also launched in May under the lead of Javier Noris; speaking of investments, at around the same time, a generous anonymous donor decided to invest both money and trust in us by becoming a Lycium-level Lifespan Hero and pledging 2,000 dollars a month. We’d like to express our most sincere gratitude to this donor as well as to all our Heroes for all they do for us. May was also a good month for interviews, as we conducted interviews with Nuchido CEO Dr. Nichola Conlon, whom we met during UA2018; Dr. Sarah Constantin from the Longevity Research Institute; Dr. Matt Kaeberlein from the Dog Aging Project; and Reason, long-standing rejuvenation advocate, editor of the blog Fight Aging! and now CEO of Repair Biotechnologies. Also, in May, the LEAF family expanded, officially onboarding staff writer Nicola Bagalà and staff editor Josh Conway. The great news of June was indubitably the launch of UNITY Biotechnology’s Phase 1 clinical trial for senolytic drugs. While relatively small in scope and scale, is meant to assess mainly safety in patients suffering from osteoarthritis of the knee, the first human trial for a bonafide rejuvenation therapy was still an important milestone, and preliminary results should be available by mid-2019. Jim Mellon’s Juvenescence Limited managed to raise 50 million dollars in a Series A financing round. Juvenescence is one of the big players in this field, helping young rejuvenation startups launch and grow, so we can expect to hear much more about it in the coming year. After a crowdfunding campaign lasted several months, the Portuguese edition of Dr. Aubrey de Grey’s Ending Aging was finally released by Nicolas Chernavsky and Nina Torres Zanvettor. The book, available in electronic format, can be found here and here. Although organizing the upcoming New York City conference took a great deal of effort and time, we still got quite a few interviews out – talking with Dr. Laura Weston, Dr. Vadim Gladyshev, regenerative medicine legend Dr. Anthony Atala, and Dr. Michael Fossel, whose interview was so long it had to be split into two parts—here and here! This was not all, as one of our most important projects was also launched in July—the Rejuvenation Roadmap, a curated database of, hallmark-categorized, work-in-progress rejuvenation therapies, the companies developing them, and their current state of development. The Roadmap is our way of answering the question, “How far are we from defeating aging?”, and it has grown quite a bit since it was first announced; hopefully, it’ll grow much more in 2019! The combined efforts of the Biogerontology Research Foundation and the International Longevity Alliance resulted in a proposal for WHO to include aging as a disease in the eleventh edition of the International Classification of Diseases, or ICD-11. While WHO wasn’t yet ready to classify aging as a disease, the proposal resulted in the creation of the new “ageing-related” extension code, which is a significant step forward nonetheless; this kind of progress in terms of classification may significantly ease the job researchers seeking to study and eventually bring to market treatments that target the root causes of aging, and as such it was a great victory long sought-after by the leaders of the longevity research community. In July, the International Cell Senescence Association held a conference in Montreal, where Oisin Biotechnologies presented preliminary data on the efficacy of its suicide-gene senolytic approach in mice; Antoxerene, another company working on senolytics, sealed a $10 million deal with Juvenescence Limited—which was announced on stage during our own conference in July! In July, an intriguing series of four podcasts was published by Sanlam Life Insurance: The 200 Year Old. The series described a possible future where aging has been conquered and features relevant, real experts of today; it was yet another sign of the momentum that the idea of healthy life extension is slowly gaining, and it hopefully took us another step closer to a world where the possibility of defeating aging is widely accepted. The landscape of senolytic companies was joined by Cleara Biotech, a company whose candidate drug is based on Dr. Peter de Keizer’s paper on FOXO4-DRI, a defective version of the FOXO4 protein that induces selective senescent cell destruction. resTORbio’s phase 2 human clinical trial of a TORC1 inhibitor to boost immune function gave positive results, showing promise as a drug to reduce the incidence of respiratory tract infection in the elderly. Our first NYC conference was a great success—while only lasting one day, it had an audience of 160+ people and was packed with talks and panels featuring great speakers, such as Ichor Therapeutics CEO Kelsey Moody and Dr. Aubrey de Grey. Videos of the talks were released later on throughout the rest of the year, and you can find them all here. In July, we were happy to grant our supporters wishes and introduced the Rejuvenation Roundup Podcast, an audio version of the roundup you’ve come to know and love by Future Grind‘s Ryan O’Shea. As usual, Elena traveled around and visited Dimitry Veremeenko’s Open Longevity school, bringing us a detailed review of what she learned there. She also gave a talk about aging research at the Singularity University Moscow Meetup. July’s interviews featured Cleara Biotech’s Dr. Peter de Keizer, who talked about the company’s specific senolytic approach; Dr. Aubrey de Grey, who shared his views about a range of topics, from the pro-aging trance to the SENS approach to longevity escape velocity; and Dr. João Pedro de Magalhães sharing his thoughts on senolytics, animal models, and more. The last month of the summer saw yet another increase in investments in rejuvenation biotech startups. Juvenescence bought 14.4 million shares of AgeX Therapeutics, and Samumed announced that it had raised $438 million for the development of anti-aging therapies; Grapeseed.bio, Ichor Therapeutics’ strategic fund, was also launched in August and was joined, among others, by Repair Biotechnologies. August was a great month for our advisory boards, as the Scientific Advisory Board was joined by Steven Garan from the Center for Research and Education on Aging and Dr. Irina Conboy from UC Berkeley. Steven has a background in systems biology and bioinformatics and Irina is an expert in parabiosis, stem cells, and intracellular signaling and we are delighted to have their expert advice on hand. Michael Kope from SENS Research Foundation joined our newly formed Industry Advisory Board (IAB) and will provide business guidance and advice to LEAF as our organization continues to grow and develop. Michael and the other members of the IAB will be a great asset in helping us to achieve our goals. The AgeMeter biomarker scan, which was successfully crowdfunded in late 2017 on Lifespan.io, became available for purchase on its own website near the end of August. We also should have an update regarding data access for project backers early in the new year. This is an important step forward as the development of technology that can easily measure aging biomarkers in a relatively low-cost package will be critical when it comes to confirming the results of interventions against aging. While chemical biomarkers are key to achieving this, the range of functional aging biomarkers the AgeMeter offers is an ideal accompaniment. The Geek Picnic, the biggest Russian science festival, took place in Saint Petersburg in August and was attended by the tireless Elena Milova, who took the opportunity to give a talk (in Russian) on healthy life extension. Speaking of tireless advocates, we concluded the summer interviewing three of them. Didier Cournelle, the co-founder of HEALES, told us about his advocacy efforts and the Longevity Film Competition; we interviewed Daria Khaltourina, one of the masterminds behind the proposal that led WHO to introduce the “ageing-related” extension code; and we had the chance to once again interview Alexandra Elbakyan, the creator of Sci-Hub and a strong advocate—and to many people, a hero—of open science. One of the main highlights of the month was the release on September 5 of Paywall: The Business of Scholarship, a freely accessible documentary about how many science publishers essentially hold scientific research for ransom – charging huge fees that researchers must pay out of their already scarce funds to be able to review existing literature, sometimes to see if it’s even relevant to their own work. As we firmly believe that science should be open for all, we were happy to contribute original footage with Alexandra Elbakyan to the movie and to translate it into Russian; we also had the producer and director of the movie, Jason Schmitt, as a guest on our September podcast. In September, we were updated on the progress that three of our older projects have made since they were successfully funded. The MitoSENS team let us know of their improvements in allotopic expression techniques; the guys over at MMTP confirmed that their study, originally delayed by bureaucracy, finally started; and CellAge told us that it began a collaboration with Circularis in search of new senescent cell promoters. We would like to thank everyone who supported these projects helping to fund important research and will bring you more updates soon. In mid-September, we launched our most recent crowdfunding campaign on Lifespan.io, the NAD+ Mouse Project which was aimed at studying whether the administration of the NAD+ precursor nicotinamide (NMN), in both normal and accelerated-aging mice, confers the rejuvenative benefits that were first observed in previous studies. The campaign, initiated by Harvard’s Dr. David Sinclair, turned out to be the most successful in our history, achieving its initial goal within a few days of launch thanks to the generosity of our supporters, some of whom pledged substantial matching funds that helped speed things up considerably. The campaign went on to raise over $75,000 Lifespan.io, completing in early November. We are very much looking forward to seeing the results of this important work. As part of our ongoing efforts to reach out to an ever wider audience, we helped produce a new video in collaboration with YouTube channel Life Noggin, which is among the most subscribed science-focused content creators on the platform. The video, which explained some of the potential life-extending biotechnologies currently being investigated, was extremely well received, with over 10,000 likes and only just above 140 dislikes. Along with engaging mass media, we also engage in face-to-face advocacy, and in the latter half of September, board director Elena Milova and volunteer Tatjana Kochetkova reached out to new and untapped audiences. Elena attended a Death Cafe, a place where people gather to discuss this rather unpleasant topic, and Tatjana held a Lifespan-X event—an independently organized event in favor of Lifespan.io—in Leiden, the Netherlands, where she discussed how far we are along the way to a fully implemented rejuvenation biotechnology platform. Rounding out September, we also interviewed Methuselah Foundation’s founder David Gobel, the man behind the concept of longevity escape velocity, as well as Dr. Michael Bonkowski from the NAD+ Mouse Project team. Three articles published in October caught our attention, particularly as they exemplify a gradual but significant shift in the tone of the public conversation on aging. The first one was published in The Guardian and was focused on senescent cells and the expected benefits of clearing them out, thankfully without a mention of any unlikely rejuvenation-related catastrophe. Cellular senescence was also the topic of the second article, which was published by MIT Technology Review and featured senescent cell pioneer Dr. Judith Campisi. (What is most interesting about this second article is that MIT Technology Review is the same publication that, in the late 2000s, mocked Dr. de Grey for his proposed maintenance approach to aging, of which senescent cell clearance is a component. This proves that the conversational tone is shifting.) A third article, published in The Conversation, made no mystery about the deep connection between aging and cancer and how the former is a central risk factor for the latter. Fittingly, SRF’s end-of-year fundraiser was launched during Longevity Month, with a goal of half a million dollars; fortunately, Reason, Josh Triplett, and Christophe and Dominique Cornuejols created a matching fund to aid SRF’s goal. On October 1st or Longevity Day, the jury of the Longevity Film Competition, which had been launched a few months earlier, declared the three winners of the contest; on our blog, you can read our pieces about the competition and the winning films, each of which covered rejuvenation in a different way. In late October, the already extremely successful NAD+ Mouse Project campaign reached the second stretch goal, and as a consequence, a third stretch goal was added and subsequently reached as well. Supporters of the campaign had the chance to ask the project leader, Dr. David Sinclair, anything at the AMA that we organized over at Reddit Futurology on October 23. In celebration of Longevity Month, LEAF livestreamed an informal chat with President Keith Comito, Vice President Oliver Medvedik, and board directors Steve Hill and Elena Milova. Speaking of Elena, she organized a School of Longevity Journalism at the All Russia 2018 media forum in Sochi, Russia, where she let the participating journalists know about the advances in aging research. Mass media companies already have a large audience, so each article about aging research can potentially reach millions of people. Thus, journalists writing about progress in our field can be our greatest allies in educating the public if we support them in this mission. Elena also attended the TransVision conference held in Madrid in October, where she gave a talk on Lifespan.io’s outreach experience as well as the international conference Frontiers in Aging, which was held at Moscow State University by Vadim Gladyshev and Sergey Dmitriev. At the event, she caught up with Dr. Vera Gorbunova, who kindly granted her a video interview. LEAF President Keith Comito was invited to the screening of Paywall: The Business of Scholarship at the United Nations Headquarters in New York City on October 23. This was the movie creators’ way of thanking us for our contribution of materials featuring Alexandra Elbakyan, and an event that allowed for the forging of new friendships and potential allies. We published two more interviews: one with Repair Biotechnologies founders Reason and Bill Cherman about investments in the longevity field, and one with Dr. Sam Palmer from Heriot-Watt University about the hypothesis that immunosenescence might play a more important role in cancer than genomic instability. Thanks to a generous donation by investor Jim Mellon, in November, the SENS Research Foundation winter fundraiser got $100,000 closer to its goal. EHA, RAADFest, ISOAD, and other conferences were either announced or took place in November. On the 5th, the Longevity Forum was held for the first time in London, and you can read more about it here. The Longevity Leaders Conference was announced, and will take place in February 2019 in London, with our own Steve Hill being a panel moderator. Finally, the Longevity Therapeutics Summit, to be held in San Francisco in January next year, was also announced. November was quite possibly the busiest month for the LEAF team. Conferences, interviews, and video creation took up a lot of our time, starting with President Keith Comito’s appearance on The Young Turks, one of the largest news networks on YouTube. Here Keith had the opportunity to explain to TYT host Cenk Uygur what healthy life extension is all about, and what we’re doing to get there. Staff and volunteers attended a number of conferences to bring our readers the latest rejuvenation news from the field. Nicola and Elena spoke at the Fourth Eurosymposium on Healthy Ageing, held in Brussels in early November by HEALES; attending the event gave them the chance to interview many researchers, such as Sven Bulterijs and Marco Demaria, as well as Dr. João Pedro de Magalhães and Dr. Aubrey de Grey, whom you can listen to in the November podcast. You can watch Nicola and Elena’s talks here and here; Nicola’s personal impressions on the event as a conference newbie can be found here. Two more talks from the Eurosymposium on Healthy Aging—Daria Khaltourina’s and Anastasia Egorova’s—were also made available on our YouTube channel. LEAF volunteers Tam Hunt and Oliver Rowland did their fair share of conferencing, having attended RAADFest and ISOAD, bringing us very interesting reports on their respective experiences. Besides conference interviews, November also saw an interview with biodemographers of aging Leonid Gavrilov and Natalia Gavrilova about the expected demographic effects of life extension, among other things. Finally, in November the NAD+ Mouse Project concluded more than successfully, bringing in over $75,000 dollars for this important work; more than 200% of the original goal. This wouldn’t be possible without our amazingly supportive community, for which we are immensely thankful! Research on aging and rejuvenation wasn’t quite the real deal until the early 90s, when the first important discoveries, such as longevity-promoting genes, were made. It’s been 30 years since then, and the Buck Institute for Research on Aging – one of the most important institutions in the field – celebrated these three decades of pushing the frontiers of science forward early in December. UNITY Biotechnology, the company which launched the first small-molecule senolytic human trial in June 2018, announced the addition of a sixth cohort of patients receiving a one-off intra-articular injection of its experimental compound, UBX0101. The second quarter of 2019 should see its safety and efficacy assessments released. The beginning of December saw the launch of Project4Awesome, an annual competition by Hank and John Green to support charities around the world, and one in which both LEAF and SENS have participated. We are very thankful for our community members who created videos, and if you want to watch the videos made in our favor, you can still do so here. Project4Awesome is an annual competition, so if you’d like to participate in 2019, feel free to get those cameras ready! December, too, saw interesting interviews published; Dr. Jan Gruber from Yale-NUS discussing synergistic effects in longevity therapies; Valery Novoselov‘s detective work exploring whether Jeanne Calment’s longevity record was truly such; Dr. Aubrey de Grey at the Longevity World Forum in Valencia; Reason from Repair Biotechnologies; and, finally, Dr. Daniel Muñoz-Espín from Cambridge University. A nice Christmas present by our board member Steve Hill was a comprehensive article on fisetin, a promising potential senolytic that is currently in human clinical trials. Fisetin is naturally found in strawberries and has been shown to destroy harmful senescent cells which accumulate with age, something to think about while consuming holiday sweets. Finally, the tireless Elena Milova was invited to the opening of the Media Institute of Public Health, an initiative supported by the Russian Ministry of Health aimed at helping journalists better cover the most important health topics. In March 2019, we will be joining forces with the Media Institute to follow up on this work and organize our second School of Longevity Journalism. We have published over 400 articles, with a corresponding 10-fold increase in traffic from our readers over the previous year. We have grown to over 110,000 followers on our Facebook page, where we post news from the industry, stream live shows, and organize events. We have livestreamed an episode of the Journal Club, our science research show every month. Hosted by Dr. Oliver Medvedik the LEAF Vice President and Director of the Maurice Kanbar Center for Biomedical Engineering, New York City, we review some of the most interesting studies published this year. We have also hosted 10 pitch meetings to help young rejuvenation startups connect with investors as part of the Longevity Investor Network, a project aimed at bringing together researchers and investment funding. 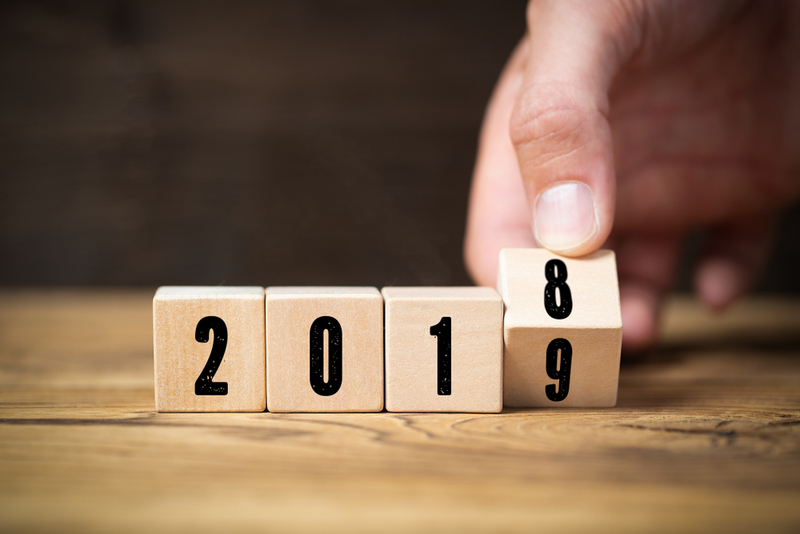 We hope that 2019 will be at least as intense as its predecessor, and given the all-around progress in the field and the growing interest in it, we’re sure that we can look forward to it. That means a year even more packed with exciting news and events spelling out the upcoming end of age-related diseases, including but not limited to the Undoing Aging 2019 and Longevity Leaders conferences as well as our own conference in New York City, and another School on Longevity Journalism. Thank you so much for having spent 2018 in our company, and a special thank you to our Lifespan Heroes and supporters—you have kept Lifespan.io alive and growing another year, and there really are no words to say how much we appreciate that. We will also be introducing a new webinar series in 2019 where all the Lifespan Heroes will have the opportunity to join us live to watch research and advocacy panels with researchers and thought leaders in the community. During the webinars, Heroes will have the change to ask questions at the end Q&A session too. More details about the webinars will be announced early 2019 so stay tuned to find out more. Meanwhile, we’ll do our best to keep deserving your trust and support! As always, if you want to help empower us to do even more in 2019, you can do so by supporting us here, and if you want to get involved more directly, we’d love to hear from you.